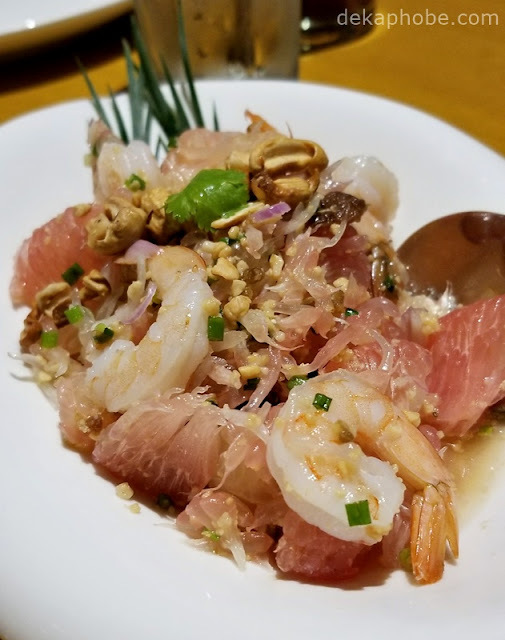 I liked the texture and freshness of the Pomelo Salad, though I don't really eat pomelo that often. 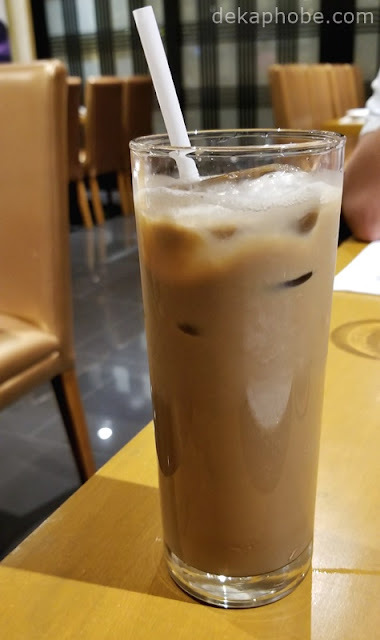 The Thai Iced Coffee was a bit on the sweet side, but I liked it nevertheless. 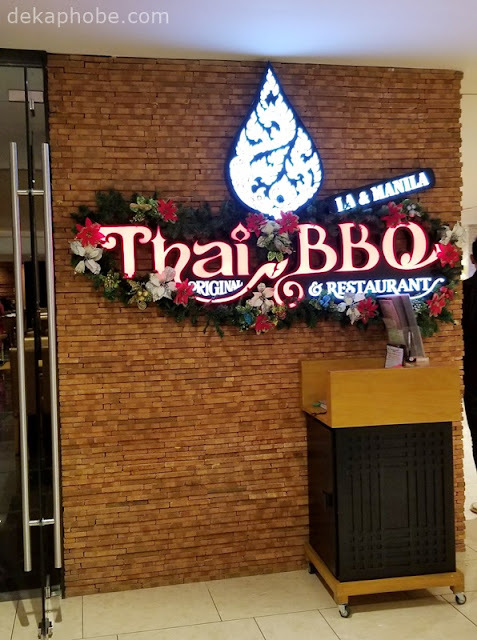 We ordered Green Curry Chicken (Php 380), Phad Thai (Php 420), and Sate Combination (Php 720). The Sate Combination has two chicken, two pork, and three beef sate skewers served with cucumber salad and peanut sauce. 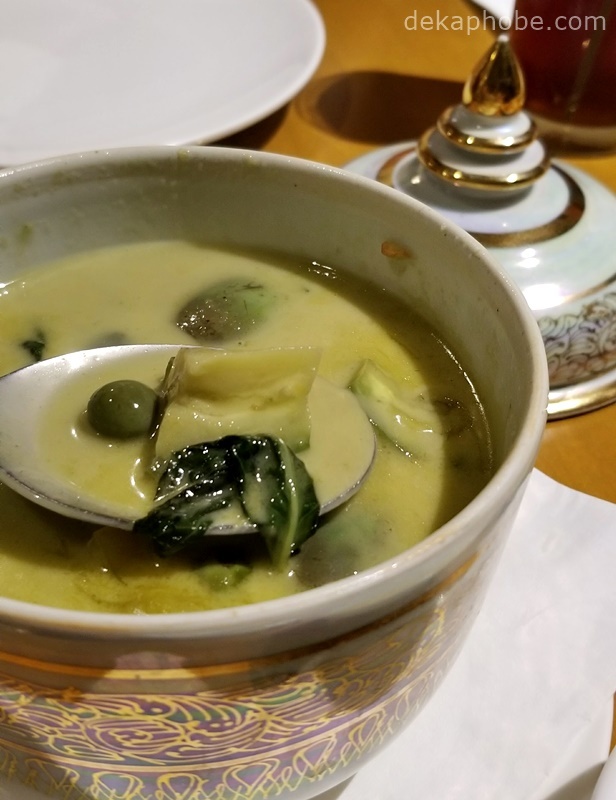 The heat from the Green Curry Chicken was not overwhelming for me, which was enjoyable while eating other dishes. I wish the serving could be bigger though. I was seriously impressed with the Phad Thai and the Sate Combination. 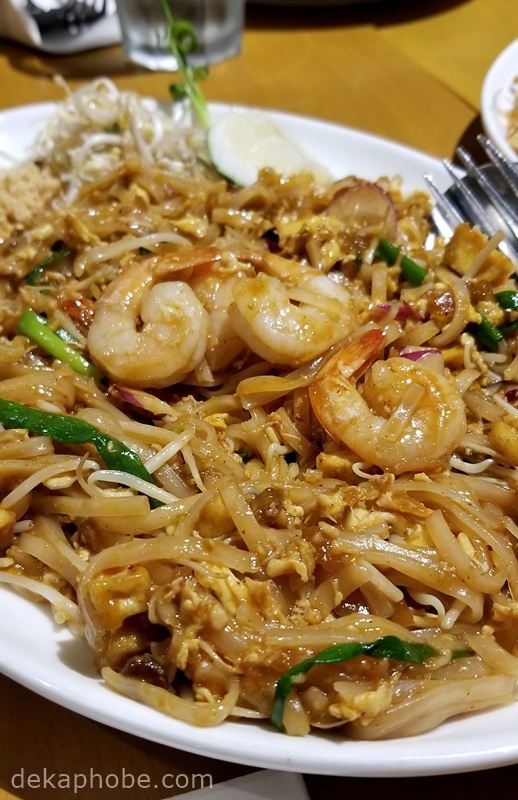 The serving of Phad Thai was huge and on the saucier side but it was so flavorful that we had to order another serving. The meats on the Sate Combination were tender and delicious that I will definitely go back just for this. 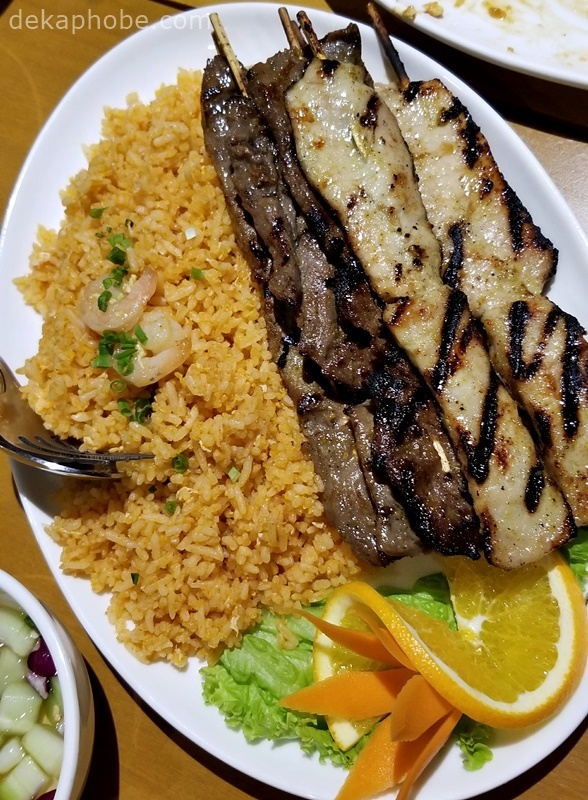 The cucumber salad on the side adds a nice bite to the sate. Aside from the food, what I really liked was the service. The staff was quite attentive to us. Also, the place looks elegant and spacious. Overall, Thai BBQ Original may be more expensive than most Thai restaurants in Manila, but the food and the service makes it worth visiting.